Our NEW MAP OF LAKE PEPIN is Here! 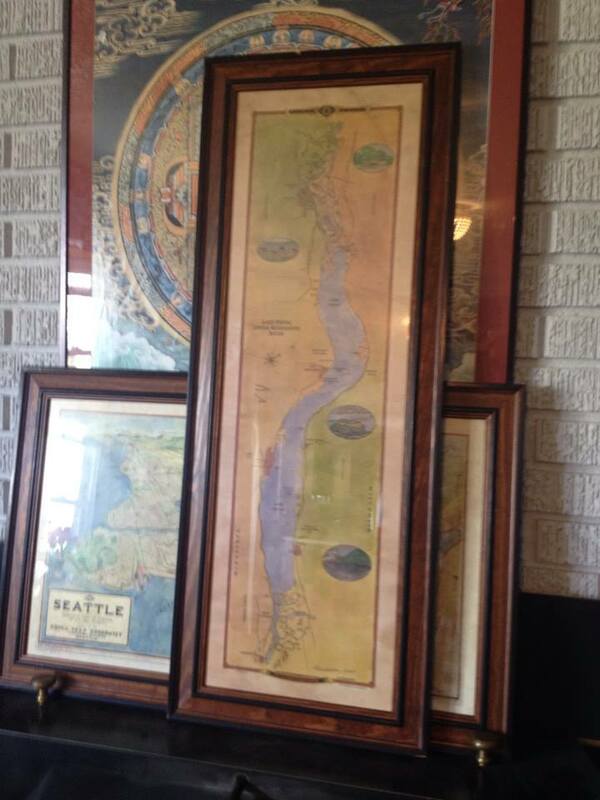 Our beautiful “New Map of Lake Pepin” drawn and illustrated by Wisconsin Map Artist, Lisa Middleton, is shown here framed. The gift prints are now available at better gift shops along both shores of the Upper Mississippi River for about $24.95. Or call us at 888-255-7726 to order! Middleton also painted the 1887 Historic Reproduction of Glazier’s ribbon map, “The Father of Waters.” Gift prints of this map are also available at many fine gift shops along the river. Or call 888-255-7726 to order. This entry was posted in Uncategorized, Boating the Mississippi, Ramblin', Upper Mississippi, historic maps by admin. Bookmark the permalink.